Coach Lavinia's message a couple of weeks ago requesting help to provide the girls in her P.E. program proper sports bras for exercising was met with great response from our Arena Ready members! In never ceases to amaze us just how awesome this community is... thank you to everyone who contributed. Thank you all so much for your amazing generosity of supporting our girls. 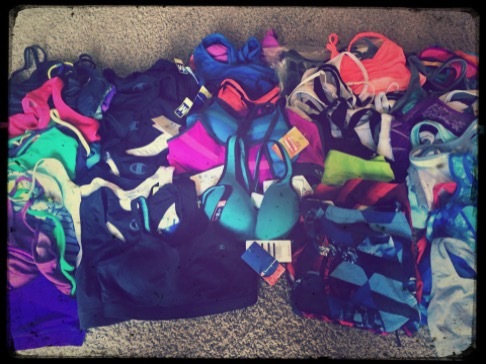 I am deeply moved by how many people have contributed sports bras and some shorts for this drive. My students are really going to feel special getting such nice items to wear!